The Elan 310, dubbed “the pocket rocket”, was developed with both, racing performance and cruising comfort in mind. The unique combination of twin-rudder steering and T-bulb keel, both rare features in her class, marks a giant leap forward for Elan. This is truly a multi-dimensional sailing boat. Researched and developed for the most demanding needs, it’s designed to be sufficiently easy to sail to carry the badge of beginner’s boat, yet it’s sophisticated enough in its sailing qualities to convince passionate sailors, delivering them the performance and general scope they might expect to find in a much bigger and more expensive boat. 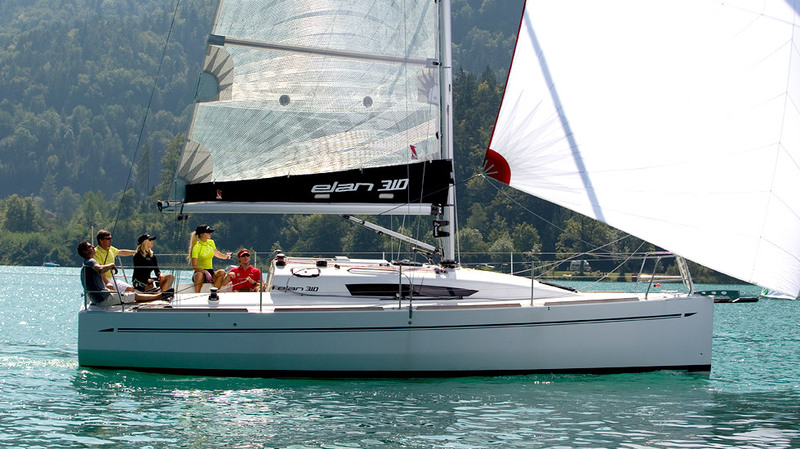 A unique combination of VO70 inspired design and performance, combined with a generous cockpit and comfortable interior, the Elan 310 is definitely an exciting boat to sail.